We can be reached by calling 720-675-9902 or emailing us via the form below. 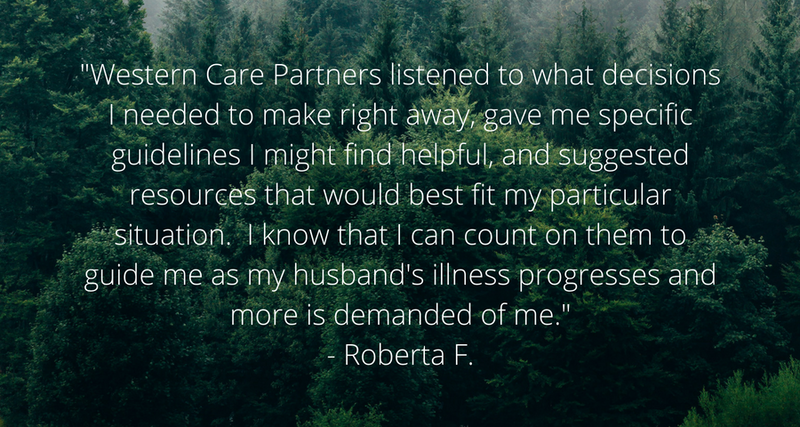 Western Care Partners is based out of Denver, Colorado but consults with families all over the United States. Contact us for a complimentary consultation. Would you like to receive a story in your email? We post regularly and your readership of our blog really makes a difference. Thanks -- we'll be in touch soon!